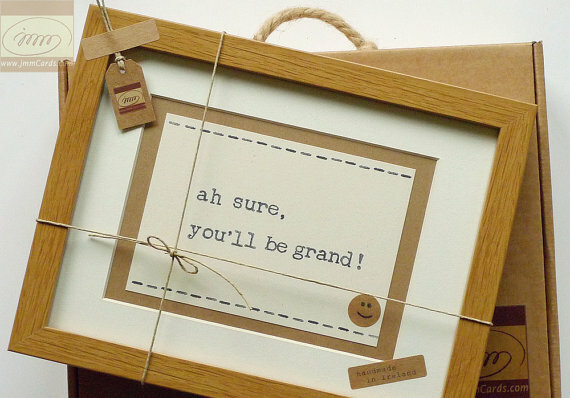 Unique framed picture with a quirky hand-stamped phrase, finished with natural twine detail. Can be personalised with names / dates or any phrase of your choice. You can also select suggested text from the dropdown menu at the checkout. Sold fully framed & beautifully gift-boxed.